How is everyone’s weekend going? I am having a play here in my scrapbook room. Whoop Whoop. When you scrap do you listen to music, watch tv , listen to books on tape or enjoy the silence? Just curious. 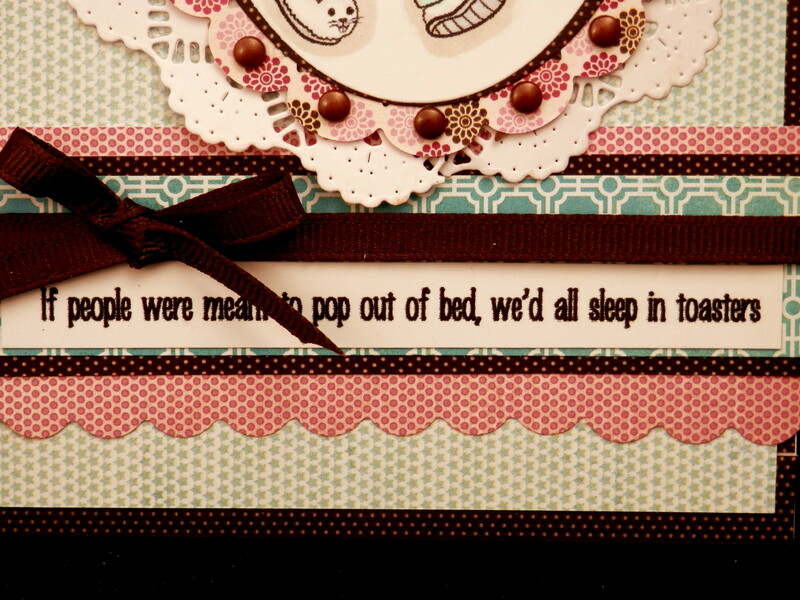 This fun little image comes from Simplybstamp.net. Isn’t she awesome. This is me on Monday mornings. Papers: MME Follow your heart. MME Blush.